Negritude responded to the alienated position of blacks in history. The movement asserted an identity for black people around the world that was their own. For Césaire and Damas, from Martinique and French Guiana, the rupture from Africa through the Atlantic Slave Trade was a great part of their cultural understanding. Their work told of the frustration and loss of their motherland. 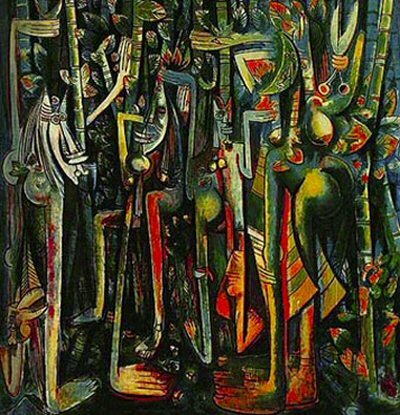 For Senegalese Senghor, his works focused more on African traditionalism. In ways the assertion of each poet diverges from each other, but the combination of different perspectives is also what fueled and fed Negritude. There is no clear end date to the movement, and some literary critics say that it still continues today, in any artistic expression asserting black identity. Clayton Eshleman and Annette Smith, Aimé Césaire: Collected Poetry, Trans. by Eshleman and Smith (Berkeley: University of California Press, 1983); Lilyan Kesteloot, Black Writers in French: A Literary History of Negritude, Trans. by Ellen Conroy Kennedy (Washington D.C.: Howard University Press, 1991).